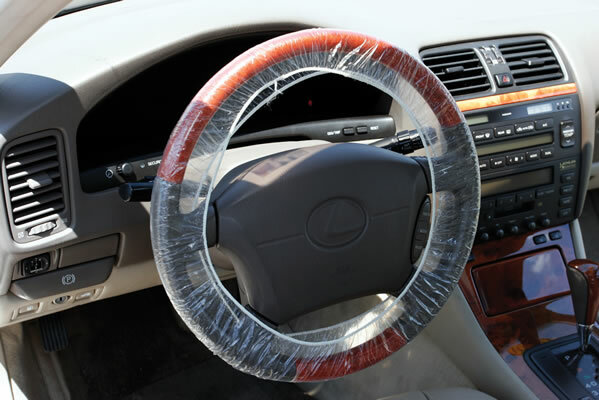 Plastic Steering Wheel Covers - High Quality and Disposable: From the makers of Slip-N-Grip seat covers, these steering wheel covers are another high-quality Petoskey Plastics product for use in your auto service department. > Extra large cover designed to fit the oversized steering wheels of Big Rigs, Motor Homes and light Industrial Equipment. 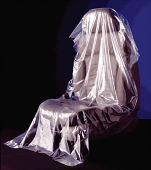 Size: Item #107 stretches to 24”; Item #107-XL stretches to 28”; Item #108 stretches from 21” to 24"
COMPARE OUR PRICE to Great American Automotive Products. 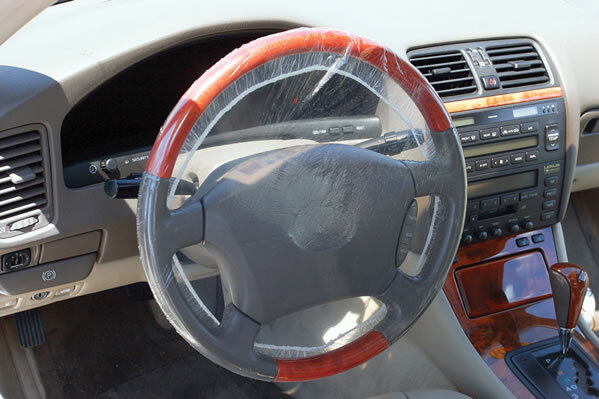 THEY'RE MORE EXPENSIVE … American's Price is 500 @ $210.00 (BFA99) … for their steering wheel covers.